After World War 1 (1914-18) the major badminton activity in the Northwest of England was concentrated around Merseyside. Communication between the districts within Lancashire and Cheshire was poor. 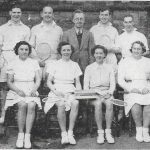 In 1921 the Lancashire and Cheshire Badminton Association was formed. The only Open Tournament being played annually was the Northern Championships at the RGA Club or Claughton BC, both in Cheshire. When Cheshire and Lancashire parted company in 1958, it was therefore agreed that Cheshire CBA would continue to organise and maintain the prime event in the North of England. 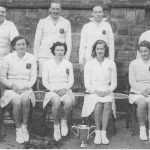 It took a number of meetings and polls before dissolution was agreed, but in 1958 each county registered with the Badminton Association of England as an independent County Association.